A strong portfolio helps you to get the desired attention from the prospective clients. First impression lasts long so make sure that you don’t leave any stone unturned to take your best foot forward. This sets true in fact of all professions including Architects. A well-built website ensures that you get the maximum visibility. 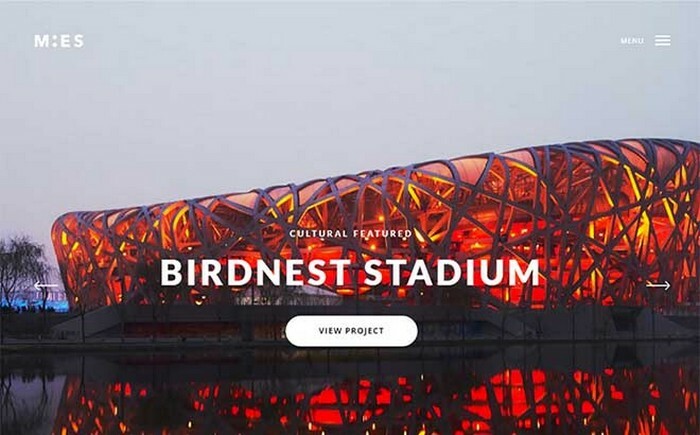 Today we have come up with 40 latest and top Architecture themes that can be used to create a perfect website you are looking for to display your work. Check out this amazing collection and make a strong presence in the online world. 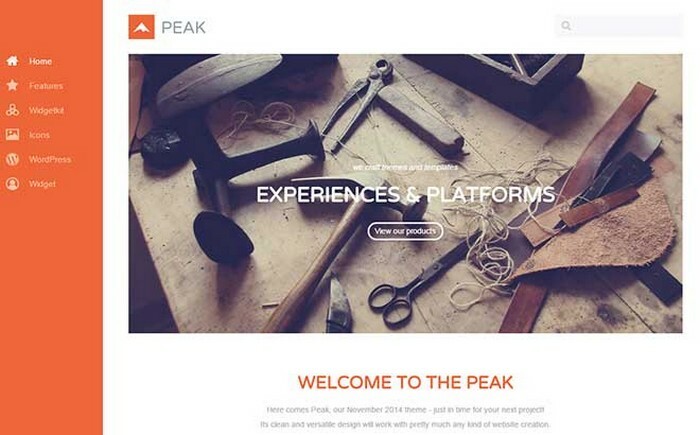 Engage your audience with this pixel perfect theme. 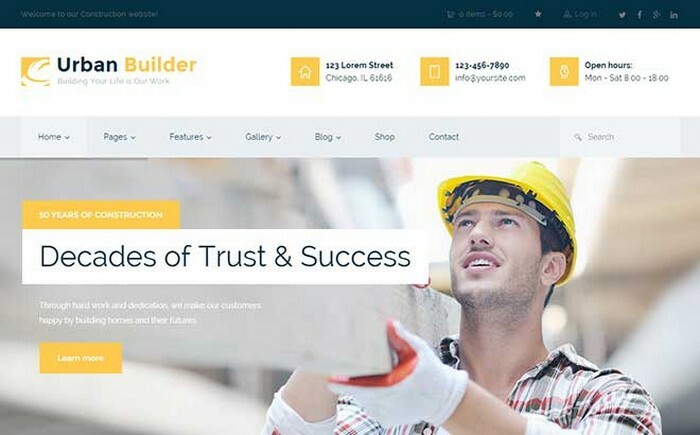 Urban Builder is a fully responsive theme with a functional design.It can be used by the professionals related to architecture, construction, plumbing, carpentry, remodelling services etc. It comes with a single click installer, thus making it easy to run a website even for those who don’t have strong technical background. 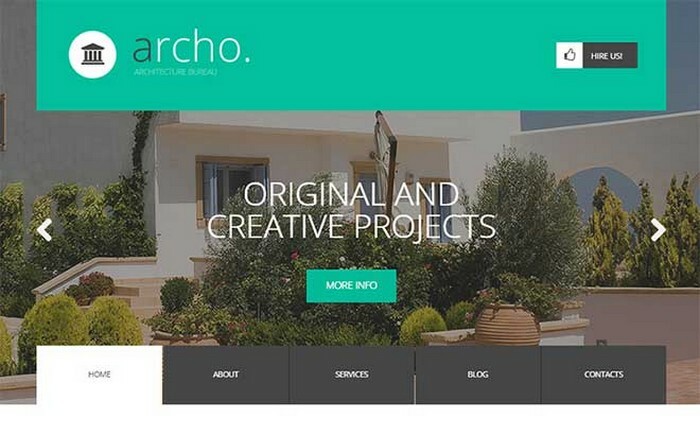 Architect is a clean, modern and beautiful theme that mesmerises with its professional and well-crafted design. This theme is mobile friendly, search engine optimised and comes with many features to give you full control of your website. Architect also has a Drag & drop homepage section, Parallax scrolling, Google maps, retina icons and much more in its kitty. Its layout provides you ample space to display your work in a prominent manner. 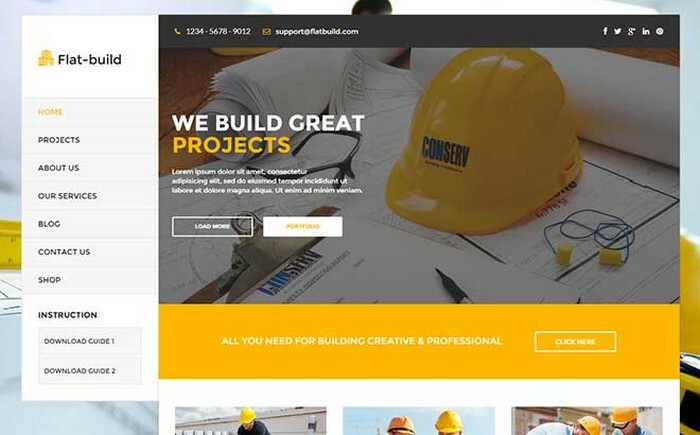 Get a strongly built theme to suit your needs of an Architect site. The Build WordPress theme has been designed to look good on all sort of devices. It can be customized to a great extent. The strong backend lets you take the full control of your website.It also has features like RTL language support, various colors, fonts, widgets, custom Google map and much more. 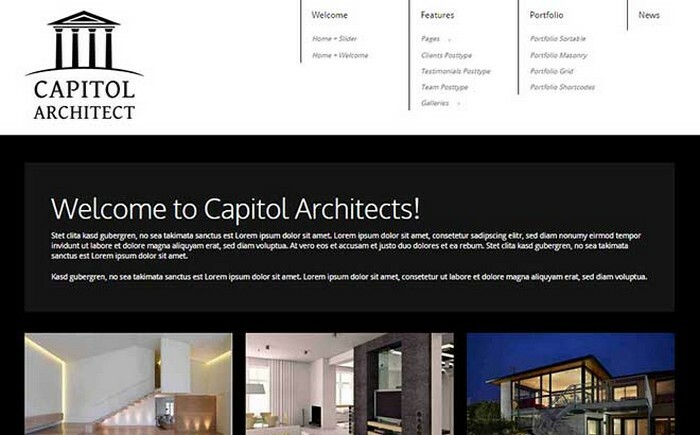 Capitol Architecture WordPress theme comes with a minimal design to give a maximum output. It has been designed with best Search engine optimization techniques. Capitol is a fully customizable theme with features like drag & drop option, responsive design, Multiple Fonts, Widgets, Slideshows, sidebars and many other useful features. PEDOSIS is a visually appealing theme with features that are unparalleled. The theme is well crafted and fits your bill well. It comes with a visual composer, unlimited color styles, custom headers, responsive design. You can also pick from different headers, various blog pages, easy setup and much more. 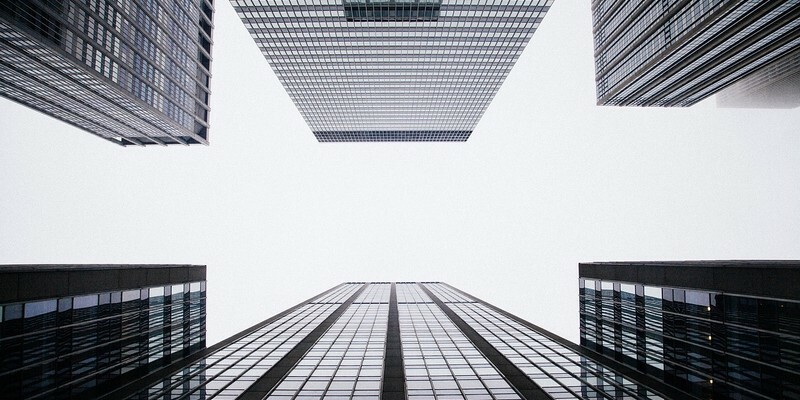 There is an abundance of Architecture themes and every other theme looks the same. But if you want a unique identity for yourself, you must check Apex WordPress theme. 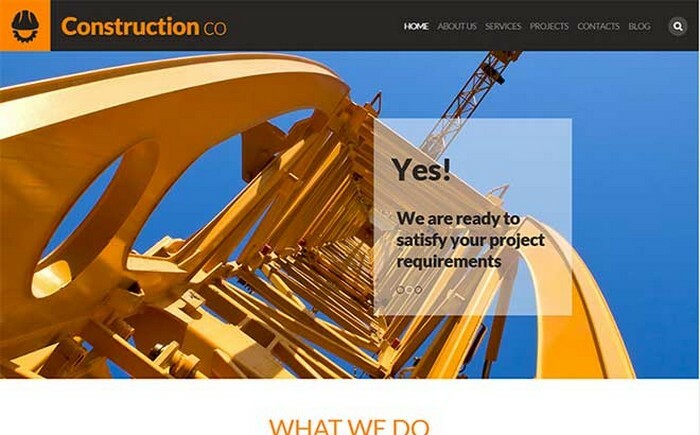 It can be customized to used by any construction-related business and every customization will yield a different layout. Apex has a clean and modern design and its features cover all the aspects of building a perfect website. 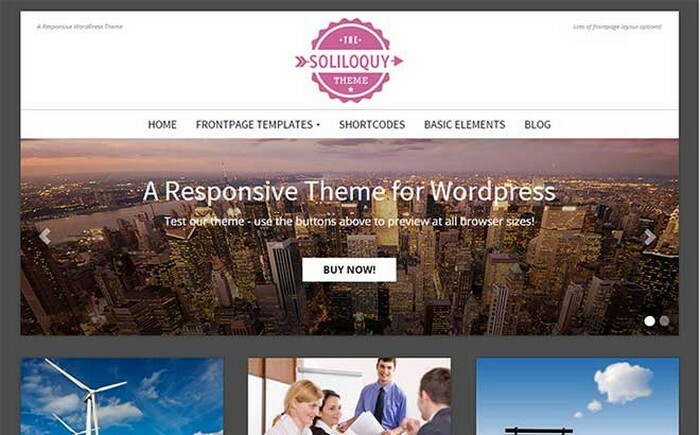 The Soliloquy WordPress Theme offers you Unlimited options to choose from like: color variations, font choices, icons, Front page layouts, responsive design, Photo friendly layouts, SEO optimization, clean code and much more. Whether you have just started your career or have crafted a niche for yourself, this theme can be customized for everyone. Domik comes with an eye pleasing clean and modern design. The theme is well crafted and is a heaven for people with creative streak. 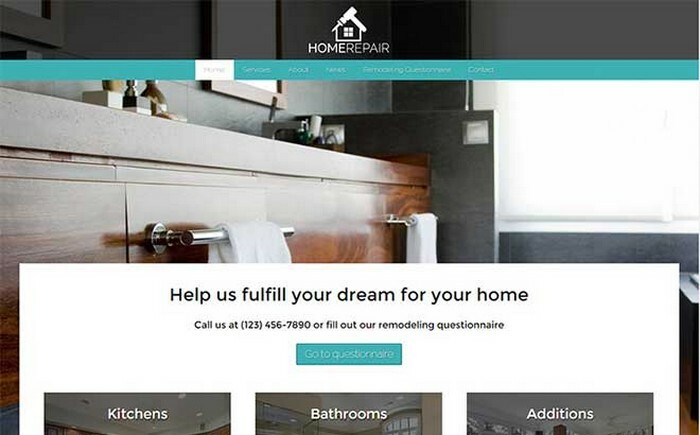 You can choose from 4 home page styles, 7 portfolio pages, responsive and retina ready design, full-screen backgrounds, retina icons and web fonts to name a few. People trust you with their hard-earned money to construct their dream homes. To build this trust, you also have to work in this direction. Getting a right theme for your website is one of the points you should consider. This theme is highly customizable and is high on features. Eastend is a fast and responsive WordPress theme with features that will make your website a hit among masses. 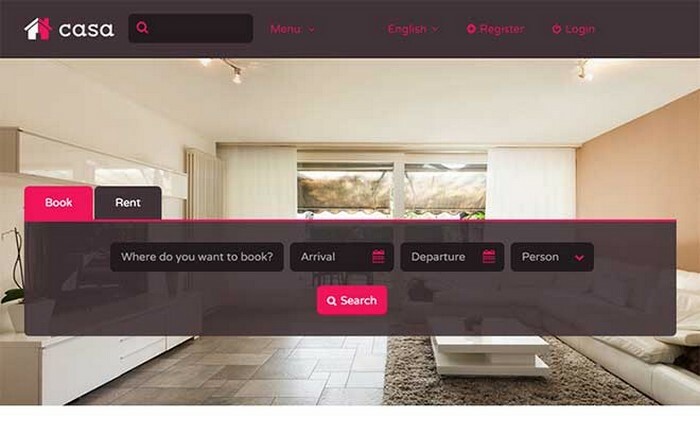 It has features like advanced property search, default and grid listing, property slider content, theme options, easy to use admin panel. It is also optimized for search engines. Constructor is a powerful theme with easy to use options. It turns any ordinary looking website into a show stopper. The powerful admin gives you full control of your website. It is a versatile theme with a live customizer. 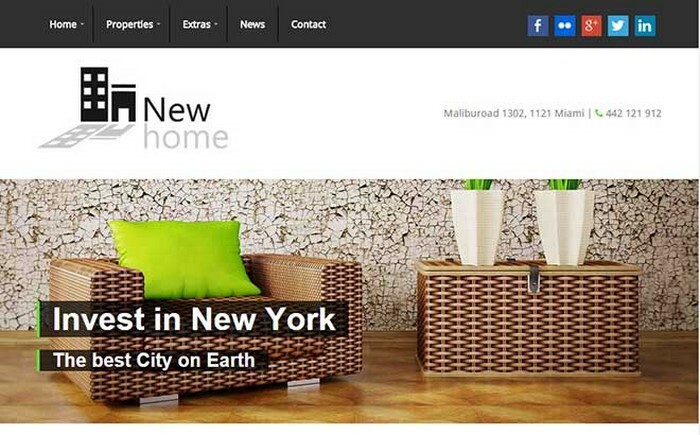 Newhome is a versatile theme with 10 headers, Grid and list presentations, translation ready, more than 100 shortcodes, Google map integration and many other features. 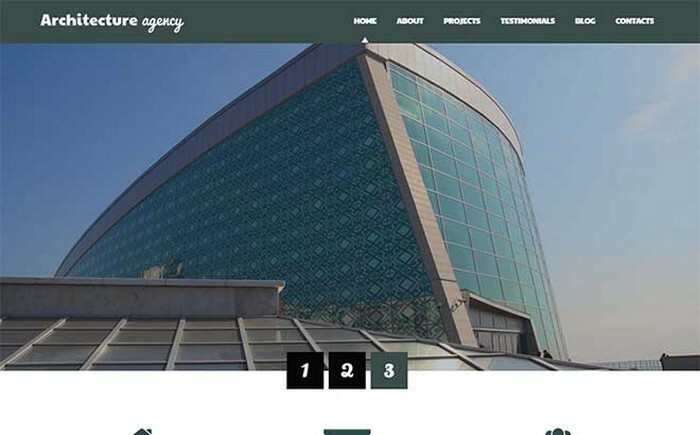 This theme has been designed extensively to give you the best of Architecture theme. It will bridge the gap between the investor and seller thus fulfilling its primary purpose. The Carpenter WordPress theme has mastered the art of showing multitude of information on a single page thus saving readers time. Its quality also lies in the fact the information does not look cluttered and even the first time visitor of your website can get the information he is looking for without any effort. 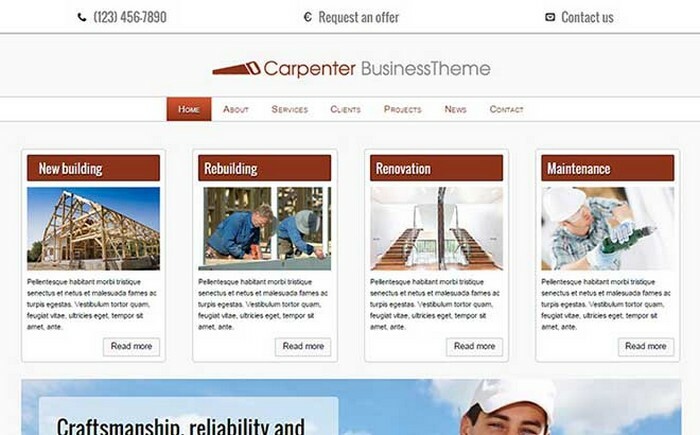 Carpenter theme is also good in terms of responsive design and clean, modern layout. Planning is an initial process in any industry and choosing a right theme to transform your ideas into reality is also important. 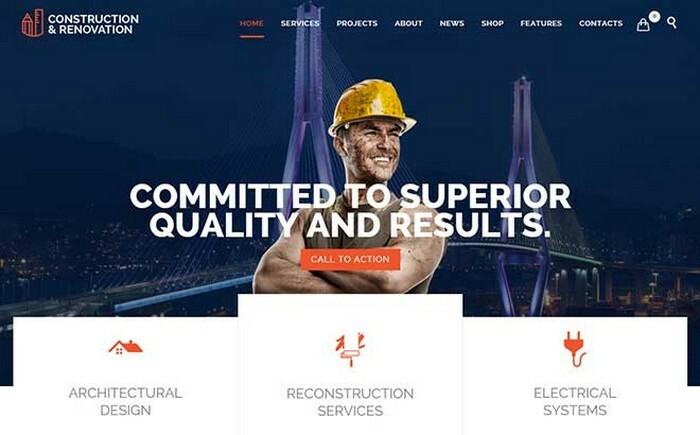 If you are related to any of these professions: construction, architecture, corporate, renovation, plumber, engineer, painter or remodelling agency, this theme is your pick. This theme is more than just a beautiful design. 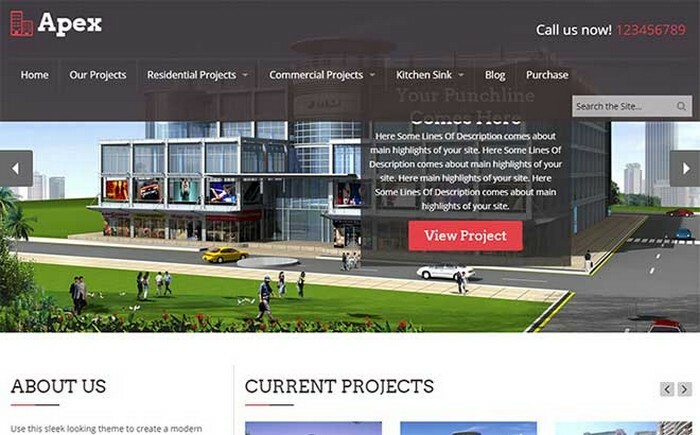 Give a complete makeover to your Architecture theme and make it a readers’ favorite with this lovely theme. 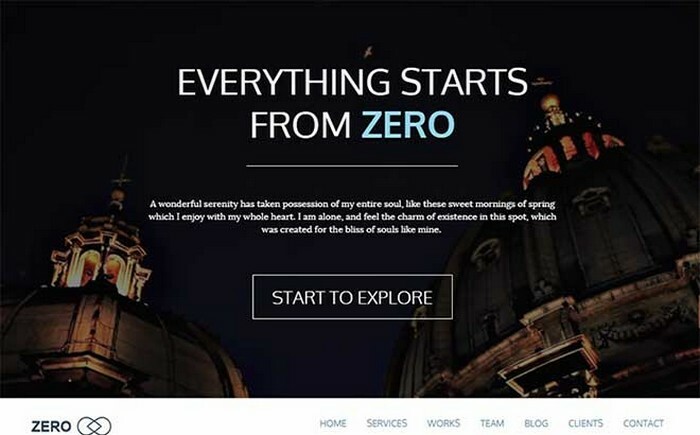 Zero is a clean and minimalistic theme with multiple choices like various home pages, transition effects, sticky menu, font icons, scroll animation, perfect portfolio and Visual composer. 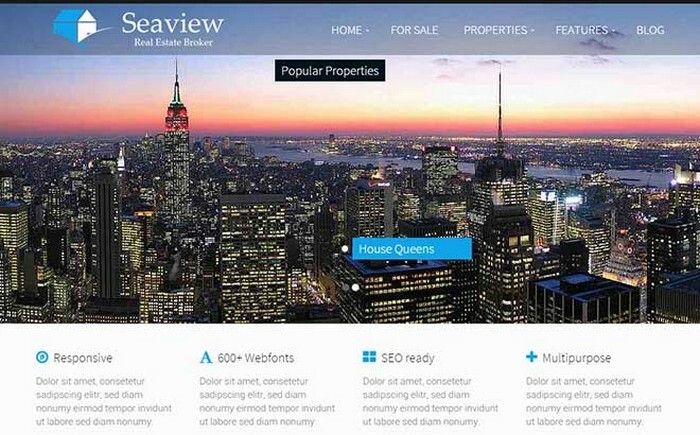 It is both responsive and retina ready theme with powerful features and impressive design. 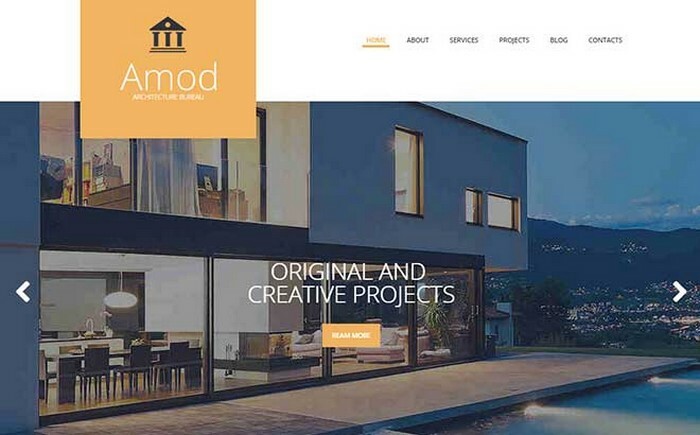 If you are looking for a professional and well crafted Architecture them, you should definitely check Amod WordPress theme. The background adds to its overall aura and makes this theme more desirable. Every element of this theme is at the right place so that the readers get all the information but in an entertaining manner. You can customize this theme and shape it according to your requirements. Whether you cover all the aspects of construction or provide specialized services in Architecture, this theme can be used in both the cases. It has multiple features like information about Opening Hours, Free Consultation, Appointment Form, practice areas, case results, Q&A and team members pages. You will get more than what you asked for. 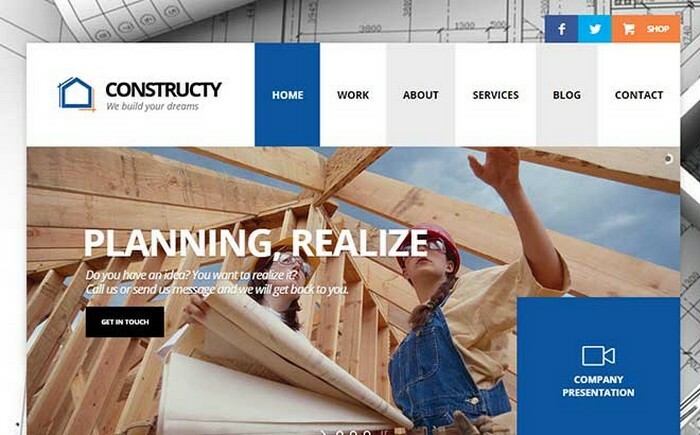 This theme helps people in turning their dreams into reality with this awesome theme. It has been designed perfection with the features like organized content blocks with bold images and short but informative descriptions are just what you need. It is fully responsive and is a fast loading theme thus helping you rank better in search engine rankings. Potential customers will judge your potential on the basis of your website so you can’t take any chances with a poorly designed website. Organic Architecture theme makes sure that your first impression impresses your audience and thus takes your business to new heights. This contemporary theme comes with a minimalistic and unique design. It can be molded according to needs of various individuals. Who said that an Architecture theme should be on the same old concept with mono colors. 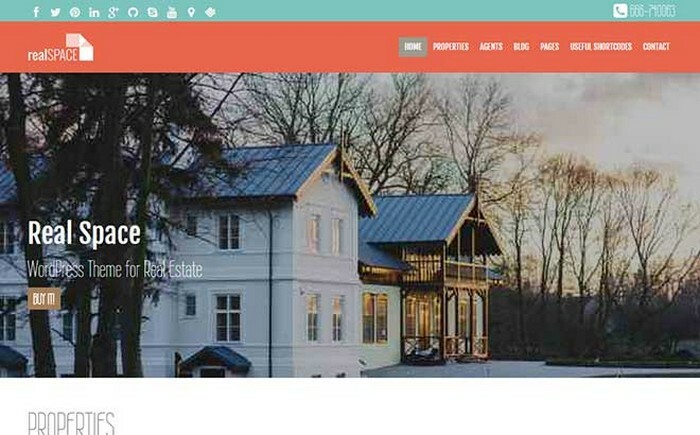 Add some flare to your theme with CASA WordPress theme. It comes with 2 powerful plugins, on one hand the Booking & Reservation System. 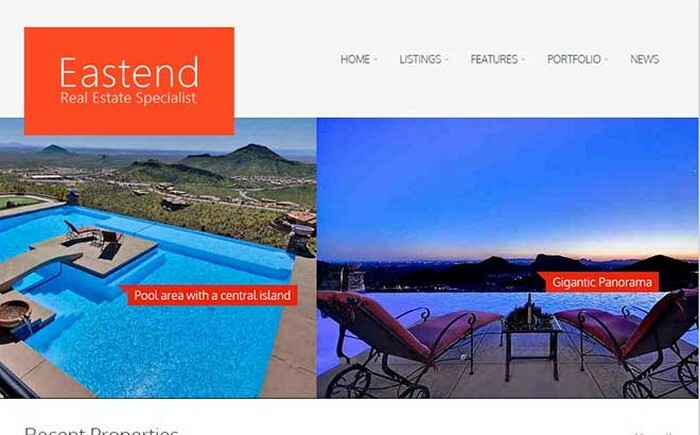 This theme can also be used for real estate listings. Seaview is an agronomic theme that will show your work in the right light. 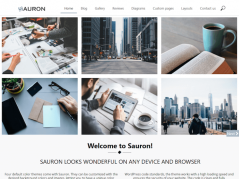 The theme is clean and comes with features like various fonts, Search engine optimization, web fonts, translation ready, shortcodes, quick gallery, backgrounds, colors and slideshows. The features also include a responsive design, animated social icons, sidebars, widgets and ton more. 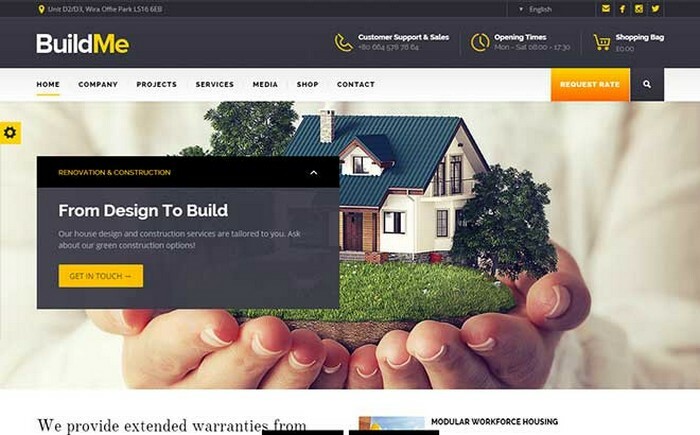 If you are making your website from a scratch and want the best for it, you can try BuildMe Architecture theme for WordPress. The theme is fast loading and comes with a clean code. It is also designed with best search engine ranking practices. 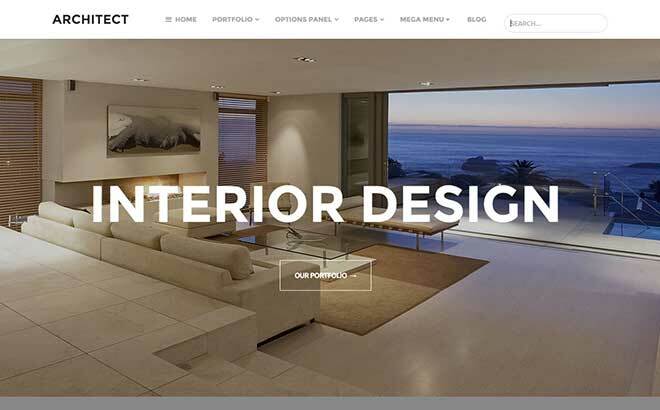 This theme will add an elegance to your website with its heart winning design. It comes with 12 multi-concept demos. Future Architecture has been designed keeping in mind today’s requirements and future expansion plans. The theme is fast and responsive and comes with search engine optimization. Future Architecture is a functional theme with an eye pleasing design. It also has a visual composer and drag & drop page builder. It is easy to customize and look great. 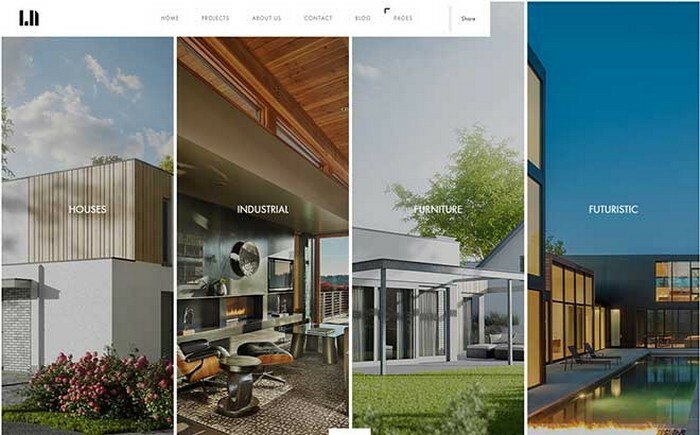 If you are into Architecture and wants a theme with unconventional design to reflect your diverse approach in architecture, you have come to a right place. This theme is fully editable so that you are in charge of your website. It is responsive, multilingual ready and comes with more than 80 shortcodes. It also has fantastic sliders and advanced backup. 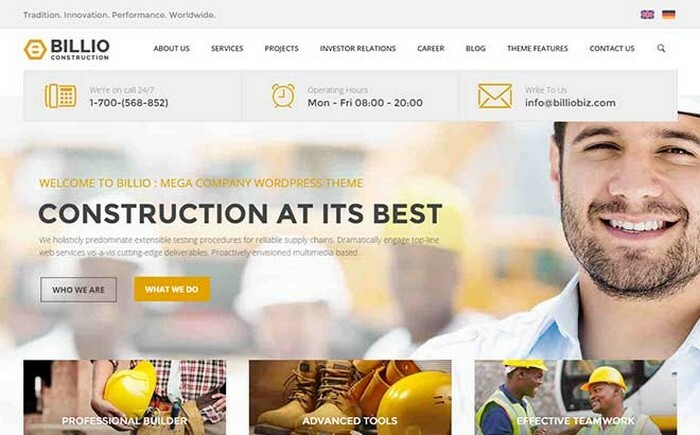 Billio can be counted as one of the best themes for architects and even for companies dealing in manufacturing, heavy equipment, construction, and spare parts sales etc. This theme has more than 50-page templates. You can provide more information about the company through online Annual reports, job openings, presentations, all at one place. Billio is also integrated with WooCommerce. RealSpace adds a weight to your content and makes your website more presentable. 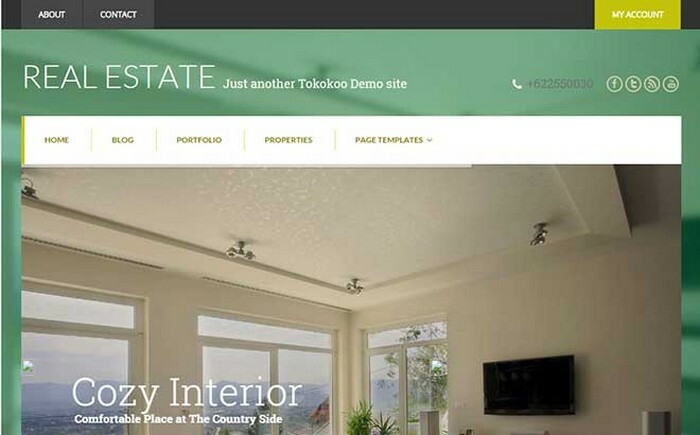 It has a responsive design and you can list your properties, clients and services in an attractive manner. It comes with Parallax effects and is SEO optimized. It can also be integrated with maps. You can customize this theme to your heart’s content. 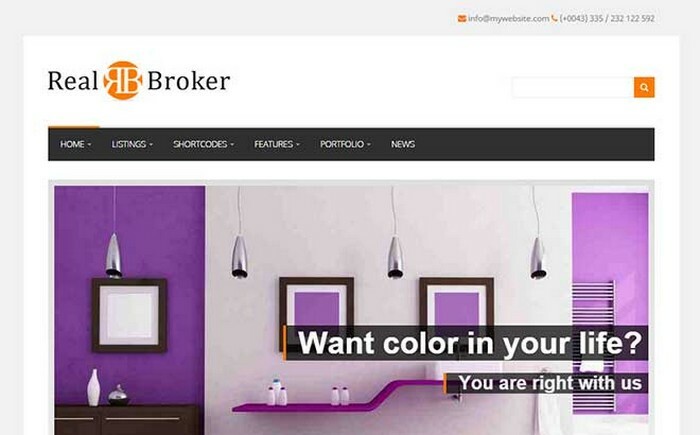 Break away from the monotonous architecture themes and pick a quirky yet fully functional theme like Realbroker. It is a powerhouse of features. You can translate this theme to all languages, integrate it with Google maps, Make a Grid or list presentation, Provide advanced property search options and much more. It is responsive, widget ready and SEO optimized. 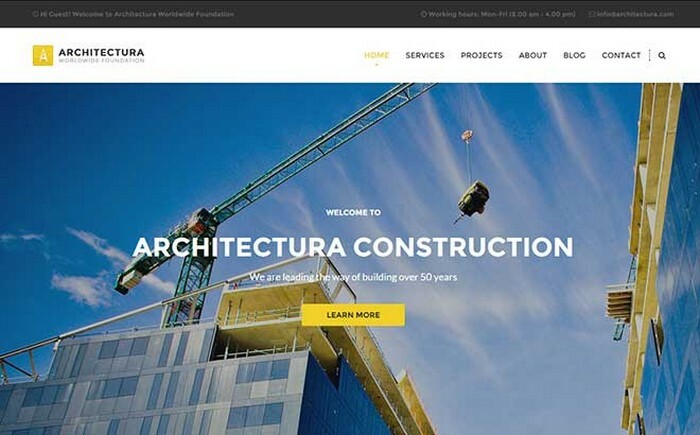 Architectura, as the name suggests, is a theme for Architects. It has a visual composer, revolution slider, one click data option and tons of customization options. 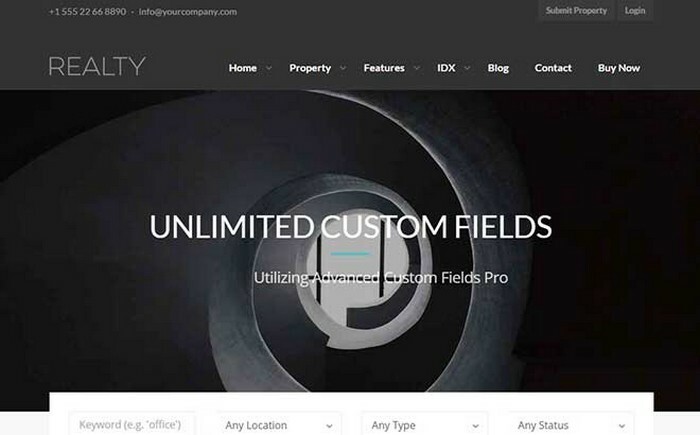 You are bestowed with unlimited colors, retina ready design, additional widgets, 500+ fonts, full width, full screen and many other features to make it a perfect theme for your website. 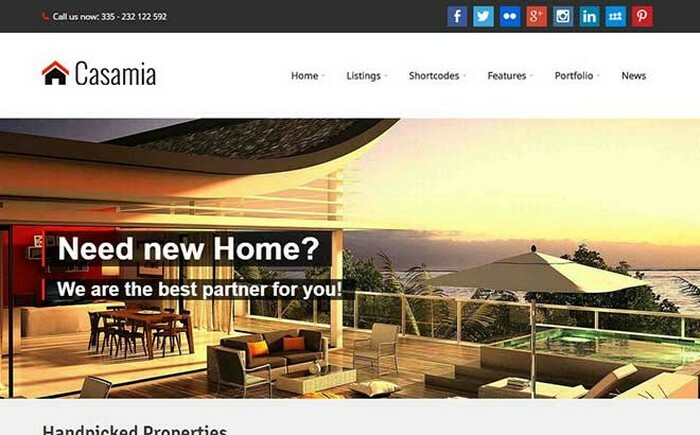 Meet Casamia a flexible theme for Architects and real estate agents. It provides you a perfect platform to meet potential customers and turn queries into sales. This theme widget ready, responsive and translatable. You can choose from custom widgets, colors, fonts, retina ready fonts and much more. The theme is fast and responsive too. 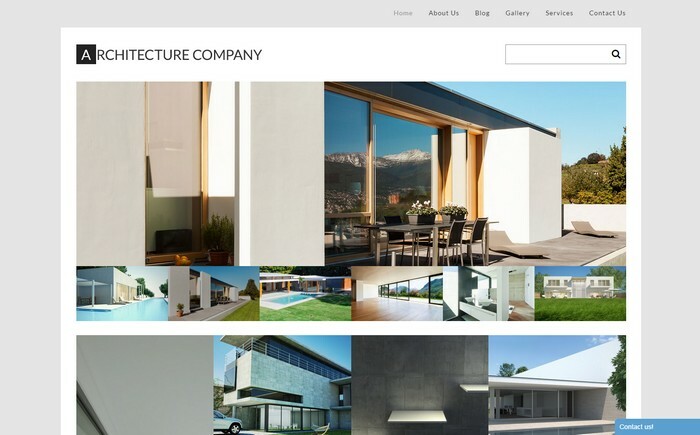 Get a look at this clean and minimalist theme designed to perfection for Architects. It is a flexible theme with lots of options to make it a perfect fit for your website. Every inch of this website is designed to provide information so that the communication gap between you ann the customers can be erased. The theme is highly customizable so you can personalize it as per your preferences. 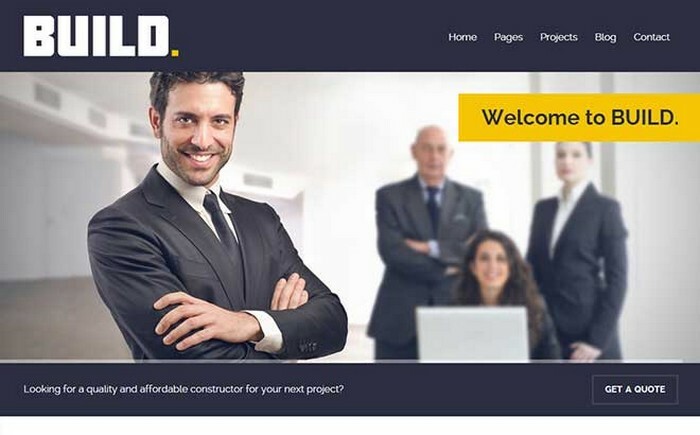 BestBuild, a theme well drafted and crafted to make your website an architect’s perfect portfolio. You can share details about the projects you have completed, your achievements, and your future plan, all in one place. You can modify this theme at the front end with the help of visual composer. 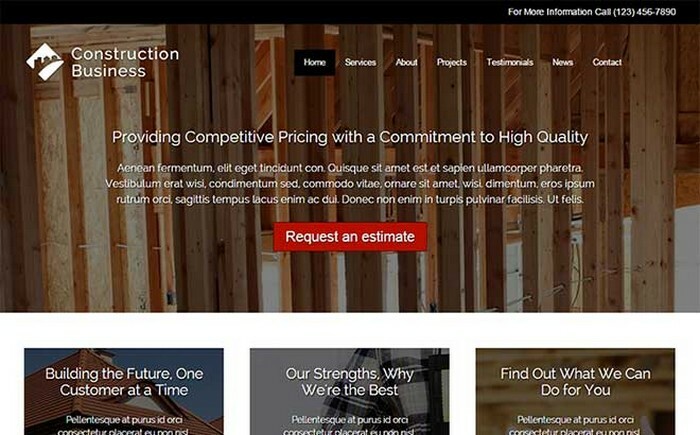 Choose from various layouts to make it a custom fit for your website. 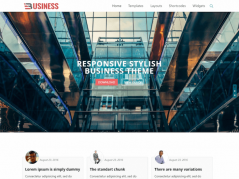 Make a mark for yourself and grow your business with this professionally built theme. You can add separate pages to display company profile, client testimonials, and sleek lightbox image galleries. You can add your personal style to the website by changing colors, fonts, backgrounds and much more through visual composer. 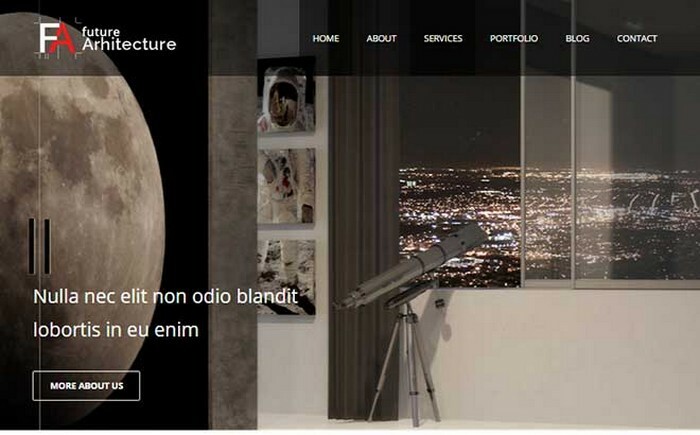 MIES is parallax theme for Architecture related websites. It will be your prized possession with its powerful backend and fascinating frontend. Add your portfolio and let the world know about your achievements. 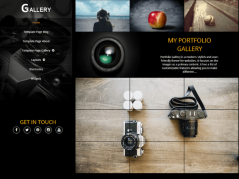 The theme is so visually appealing that it can be used even by the Photographers. What more this theme is also compatible with WooCommerce. It has an advanced filtering options and parallax scrolling. Joglo theme is a pixel perfect theme with options that make this theme a must-have. This theme comes with multiple language support, Google map integration, unlimited colors & fonts, social media integration, various page templates and tons more options. The design is clean and clutter free. Give the attention your site deserves and your online references will bloom. 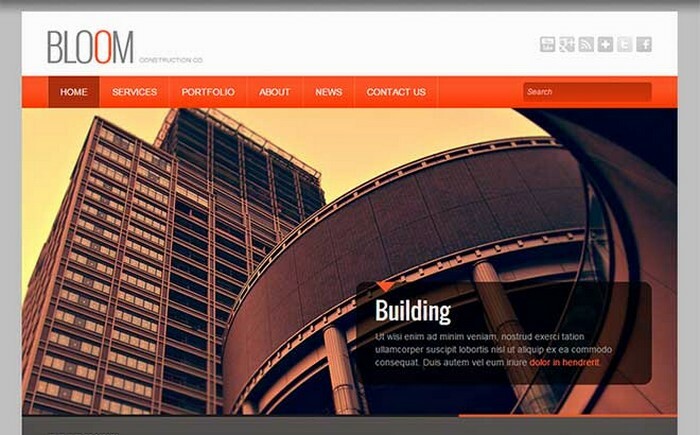 The Bloom Architecture WordPress theme is one such theme that you can use to uplift your website. You can modify this theme to your heart’s content. 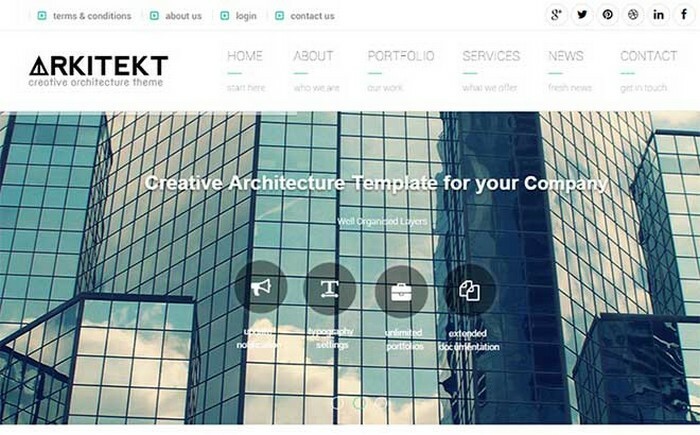 Arkitekt supports unlimited sidebars creator and comes with a powerful admin panel which makes it super easy for you to run your website individually. It comes with Google map integration, page templates, custom widgets, contact form, post formats and what not. The theme is mobile ready and ins integrated with WooCommerce. Peak, with its unique features, will help you to scale new heights. The theme is highly flexible, well-crafted design, hover effects on buttons, special overlays and of course, various style variations. It is designed to look good on all sorts of devices. It also has an optional blog layout, two menu positions, 8 style variations and much more. 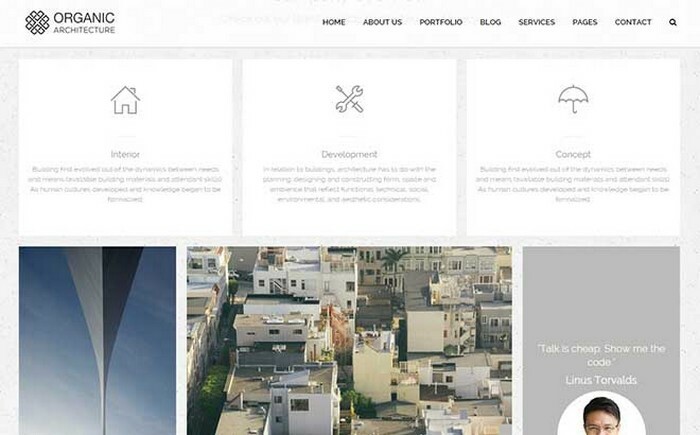 Flatbuild comes as a clean and responsive theme built to meet needs of Architects. The theme is easy to use thus giving your full control of your website. It has a Visual Composer page builder plugin and other Custom Elements to make your website unique. The theme is also feature rich and is highly customizable. 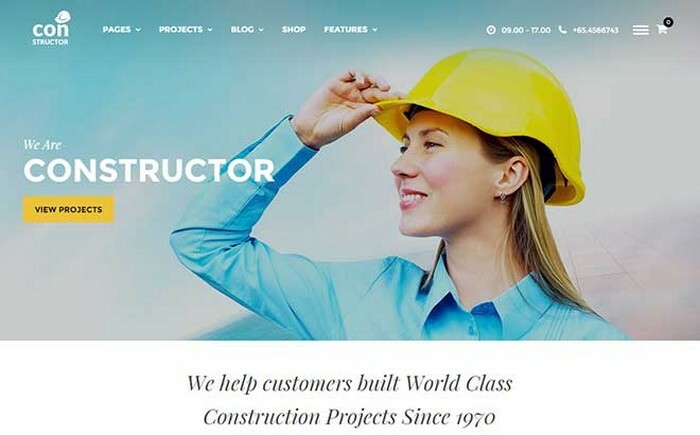 The Construction Business WordPress theme an elegant and clean design. Add your personal elements and make this theme a perfect fit for your requirements. You can add your portfolio, a testimonial page, and a content for to create a perfect sync. It has a configurable layout and responsive design. The theme is also search engine optimized. 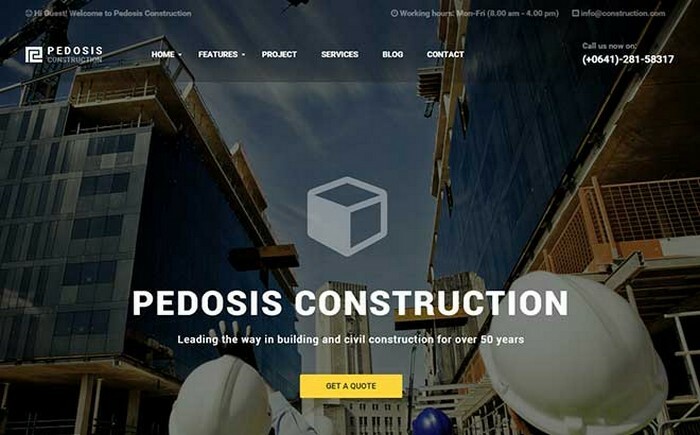 This is a architecture firm WordPress theme with an an ultramodern design. It features a homepage heavily focused on images. 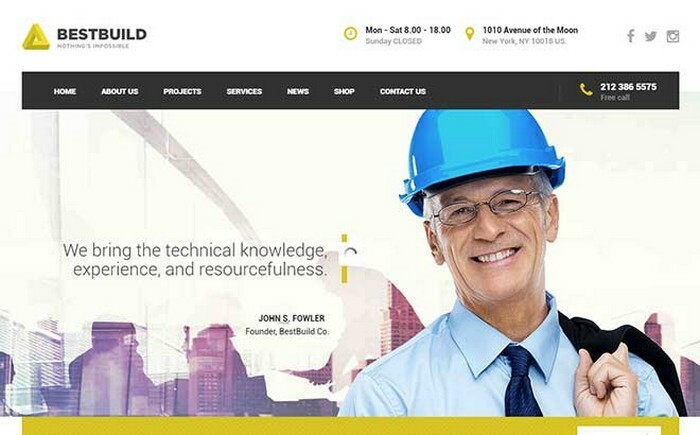 The theme includes clear typography allows for great readability of content. The layout is responsive and make your online portal accessible to anyone. With custom page templates and post types, you will have an opportunity to create different looks for different website sections and content blocks.